"Biografia degli uomini illustri del regno di Napoli,"
In sixteenth century Europe, it was not easy being a physician if your philosophy of medicine deviated from the norm. In those days, the 'norm' was to treat all diseases solely based on elementary properties or "humors" as they were called. Successful treatment, according to theory, depended on the restoration of balance between the four humors which were in turn associated with air, water, earth and fire. For example, symptoms that included a burning fever called for a diametrically opposite treatment than for a patient with chills. Sometimes these procedures worked, other times not so much. These principles were very old; they had been established centuries earlier in the writings of Hippocrates and Galen and the wisdom of the ancients was not generally questioned. The medical establishment was locked into these concepts and to deviate was to risk severe criticism from one’s professional peers. An early maverick was one-time mining physician Paracelsus. Today he is known as a pioneer of sorts; he focused his attention on practical solutions that worked in the field rather than on dogmatic theories. He insisted on basing his treatment, not blindly on a set of rules, but on close observation of his patients and of nature. Increasingly, his peers considered him a dangerous crackpot and a liability for his unorthodox treatments. He spent the last part of his life running from one town to another, trying desperately to stay ahead of his detractors. The fact that he was also outspoken about his belief of an impending apocalypse did not help his case. He died in 1541 and his ideas about chemistry and medicine did not start to gain traction until about fifty years later, when among many others, alchemists Antonio Neri and his sponsor Prince Don Antonio de' Medici became devotees. Paracelsus is an extreme example, and perhaps the best known, but he was far from alone in a rising tide of debate about the nature of disease. 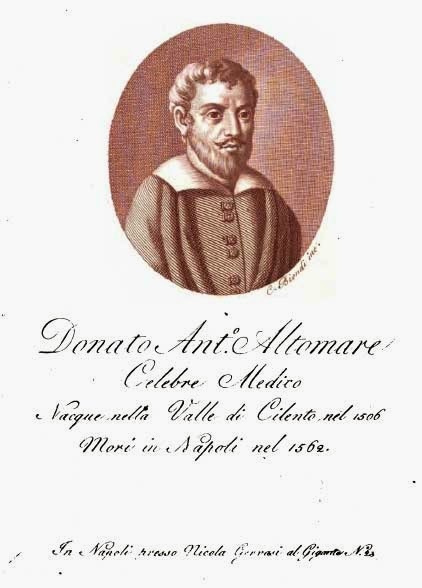 A much lesser known example, one that peripherally involved Neri's own father was that of Neapolitan physician Donato Altomare who was a university professor in the middle of the sixteenth century. He was hounded out of Naples and forced to relocate in Rome after favoring the opinions of leading Arab physicians over established theory, but philosophically, he was still very much in the mainstream of promoting the ideas of Galen and Hippocrates. The old ideology was held so tightly, that even a slight deviation could leave a career in ruins. Ultimately, Altomare found favor with fellow Neapolitan Pope Paul IV, rehabilitated his reputation and was allowed to return to his hometown, but criticism persisted. One of his most vocal detractors was a classmate of his own son, named Salvo Sclano. In 1585, a book on a variety of topics in medical theory was published by one of the leading doctors, Antonio Alvarez, personal physician to the Viceroy of Naples. In Epistolarum et Consiliorum Medicinalium pars prima, Alvarez invited a number of well-respected peers to contribute chapters in the form of letters. The book is most noted for the final chapter in which Alvarez mounts a spirited defense of the above-mentioned Donato Altomare and against his nemesis Sclano. Antonio Neri's father, Neri Neri, has a detailed chapter in Alvarez's book. The elder Neri was the personal physician to the grand duke of Tuscany, Ferdinando de' Medici. In his piece, he wrote on the treatment of what was known as "left side paralysis," usually the result of a stroke, which often left patients physically debilitated and unable to speak. This same malady befell a close Neri family friend in the 1560's. Poet and historian Lodovico Domenichi spent the end of his life unable to speak, but still attended by his best friend, Antonio's grandfather, Jacopo Neri. The medical problem was correctly identified as originating in the brain, but the prescribed treatment was, shall we say, less than optimal. An incision was made in the rear of the patient's head at the base of the skull. Wires or small beads were inserted to keep the wound open. The theory was that deep pathogens were drawn out of the body, as evidenced by the large discharge of puss that resulted. The fact that Neri Neri contributed to the book is an indication that he was in sympathy with Alvarez's defense of Altomare. It is interesting that while he was quietly championing the minor revision of main-stream Galenic medicine, his son Antonio would go on to champion the far more radical teachings of Paracelsus. While the majority of Antonio's writings deal with medical cures, nowhere does he discuss the theory of "humors" or Galenic medicine, although he also does not speak out against it. 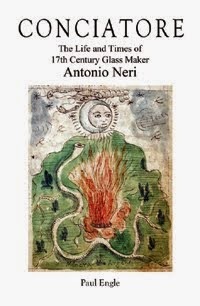 In his own quiet way, Antonio Neri was helping to sever ties to the old ways of medical practice. In the future, the emphasis of medical science would be squarely focused on careful observation of nature. * This post first appeared here as "Physician Steel Thyself" on 30 July 2014.